Hanging miniature Christmas lights indoors can add an extra touch to the holiday décor. You can hang them on walls, over doorways or use them to frame windows. 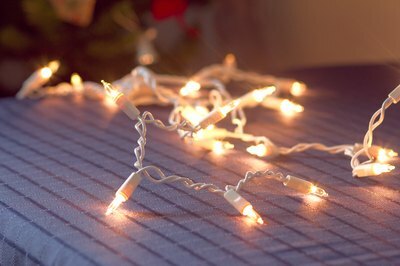 Most miniature lights come in a variety of string sizes and can have as few as 25 miniature lights on them, or as many as 100. Before you begin hanging them, however, there are a few items to consider that can save time and help ensure that the miniature lights are displayed safely. Select the color of the miniature Christmas lights that you wish to use. Use the same color of lights for decorating that you use on the tree. This will give the room a more uniform and pulled together look. Determine how many strands of light you will need. 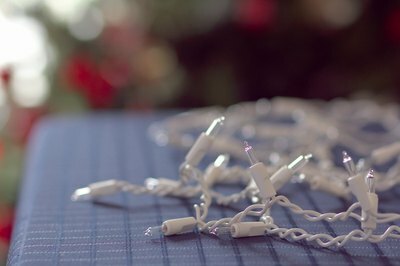 Miniature Christmas lights are designed to connect to each other; however, there are usually only a certain number of strings that can safely be connected to each other. If the length exceeds the safety recommendations, you may wish to consider changing your design or split the number of lights that you run on one circuit. 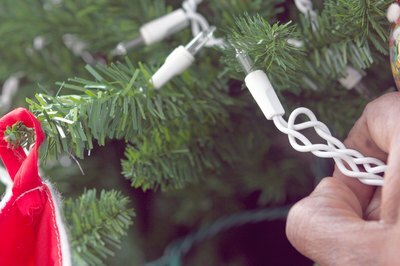 Test the strings of lights to make sure they work before you hang them. Locate the closest electrical outlets. Depending on where your electrical outlets are located will determine whether you need an extension cord or not. If using an extension cord, consider using garland to conceal it or try a design that is closer to the outlet. Hang the strings of miniature lights with tacks. Most miniature lights come with three strands of wire. Hang one wire over the tack. Do not push the tack through the electrical wire. If you do not like the idea of small holes in your wall, consider using damage-free hanging hooks. These hooks use an easy-to-remove adhesive to stick to walls. Once the holiday season is over, simply peel to remove. 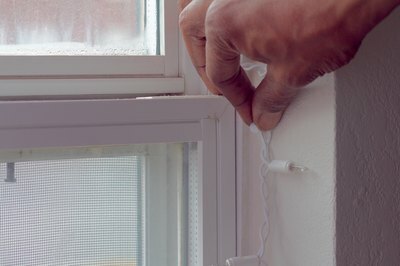 To decorate around windows, loop twisty ties around the wires and staple the twisty ties to the side of the window frame. 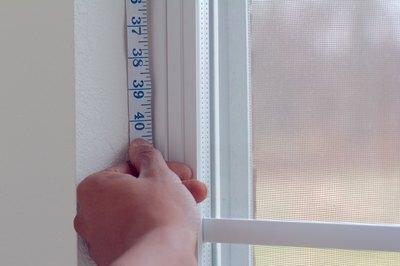 The staples will hold the miniature lights securely around the window, but can be removed with a staple remover when it is time for the lights to come down.